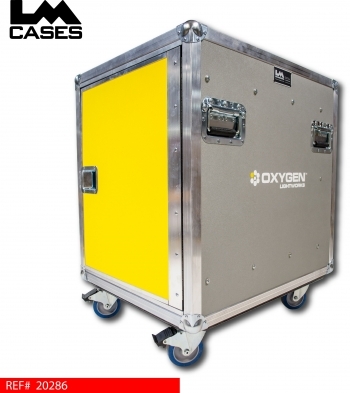 This case was designed for Oxygen Lightworks for D&B D12 amplifiers. The case features pocket style doors that are designed to open and fold back into the sides of the case on heavy duty glides. 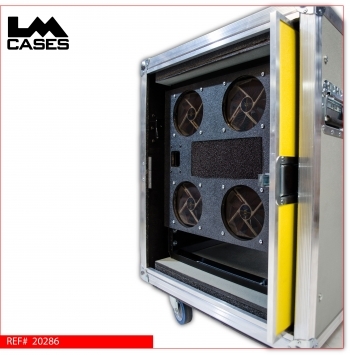 Pocket Door racks save time during set up and provide an excellent solution to the age old problem of what to do with your case lids. The inner rack shell is fully shock mounted and is 24" deep rail to rail to accommodate the amplifiers as well as power distro units. 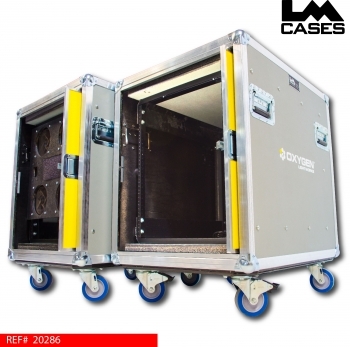 The exterior dimensions are 24" x 30" to fit into standard truck pack configurations. The case is built out of 1/2" plywood and features 4" Colson casters, deep recessed handles and stacking caster wells. 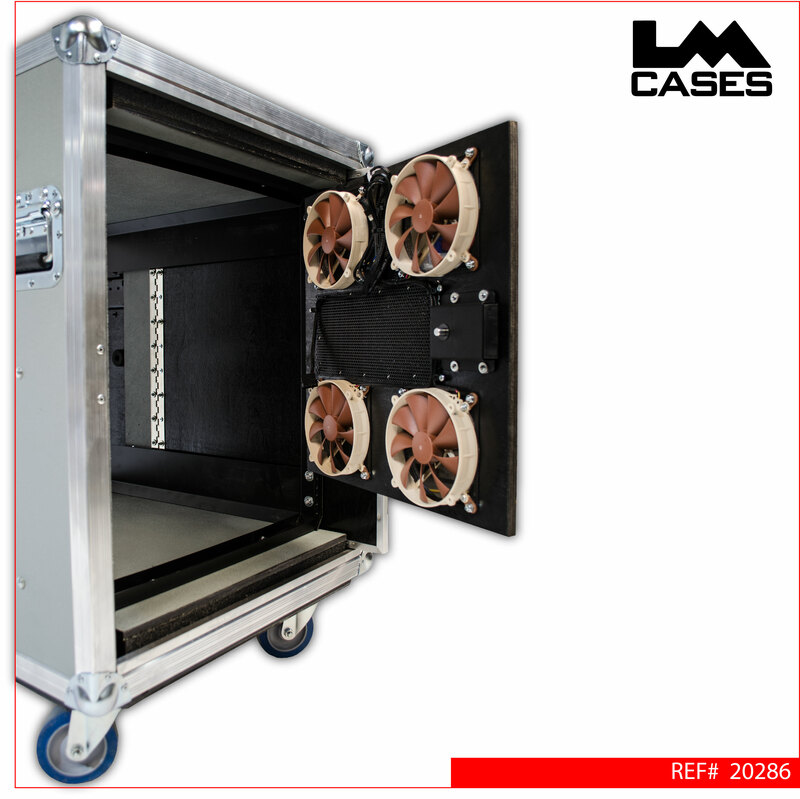 The rack also features a custom 10RU fan panel built by our Custom Integration department. The hinged panel has 4 - Noctua fans mounted to provide high volume silent cooling for the rack.